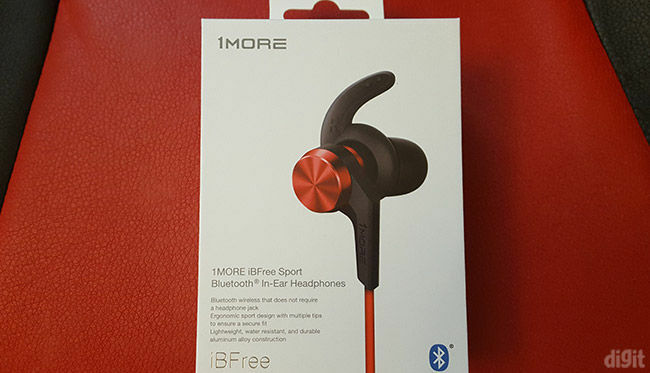 Sometime last year, 1MORE made its foray into the wireless space with the launch of the 1MORE iBfree Bluetooth in-ear headphones. Our review of the device was largely favourable except for a few critical flaws – the biggest being weak signal reception. The upgraded “Sports” version promises a few improvements such as a more stable PCBA design for better connectivity as well as an upgrade in the Bluetooth version – 4.1 to 4.2. 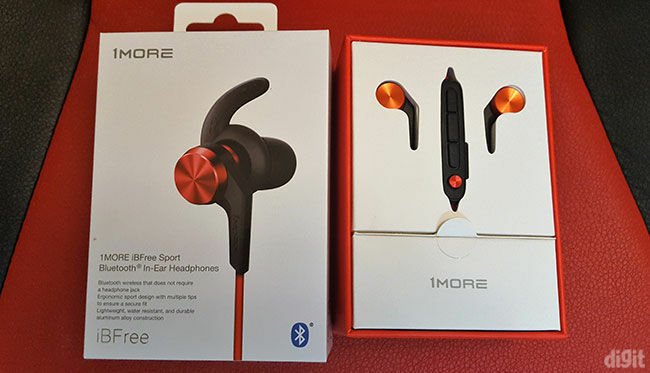 What is surprising is that the iBFree Sport not only manages to deliver on its promise of better connectivity, it also improves audio performance in the bass department. With IPX6 protection, forget about sweat, even heavy rain is no longer an issue. If you have the budget, go for it. The old iBFree had IPX4 grade protection while the new iBFree sport has taken it up to IPX6 protection. This means that while the old iBFree was resistant to sweat and splashes, this one will survive jets of water or torrential rain. It is not known whether the DAC and drivers have also been changed. If so the audio performance is also likely to have changed. We’ll get to that in a moment. For now, let’s look at the look and feel of the new 1MORE iBFree Sport. The driver housings, ear tips, and the cables on the iBFree Sport look exactly like the older iBFree. In fact, it’s nearly impossible to tell them apart. The only difference is in the in-line control pod. 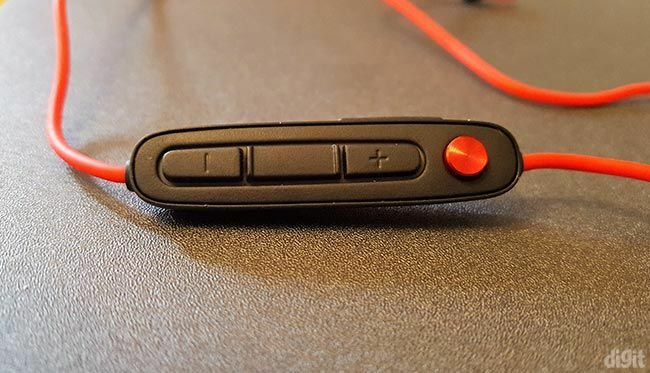 The iBFree Sport has an added metallic button for powering on the device. On the earlier version, the middle button (i.e. the play/pause button) would double up as the power button on long pressing. The quality of the buttons has also improved – they are now slightly wider and have a better tactile feel. The Sport also has improved ingress protection with a rating of IPX6. So while the earlier one was resistant to sweat and splashes, this one can withstand jets of water. We didn’t get a chance to take it out for a spin during one of Mumbai’s infamous torrential rain storms but we did simulate rough conditions by using with a high-pressure overhead bathroom shower without any glitches. In terms of features, the iBFree Sport is almost exactly like its predecessor. There is the addition of ACC decoding (apart from aptX) and Bluetooth 4.2 but other than that it’s pretty much the same. You get audio voice prompts, a range of ear-tip options, and a cable shortener. But sadly again this time as well no hard case. I wasn’t very sure if 1MORE would have changed the drivers in the new iBFree Sport, considering other factors such as the size, shape, look and feel of the device remain the same. However, what I can tell you is that the sound signature has definitely changed. This could be because a new DAC might have been used on the updated chip, or it’s possible that the same old drivers have been tuned a little different this time around. Audio: The first difference that I noticed was that the bass has been bumped significantly. The older iBFree tended to sound a little harsh while the new ‘Sport’ iBFree has a more well-rounded signature. It’s not warm exactly, nor is the mid-range clean, but thanks to the bass-bump, the music sounds a little fuller. Most genres will sound “rich” thanks to the now gentle U as opposed to the steadily rising gradient on the older iBFree. To test this hypothesis, we put the iBFree Sport through a range of different genres and realised that while the bass has been bumped it isn’t exactly tight – there’s just a lot more of it compared to the older iBFree. Tracks such as So Far Away - Martin Garrix and Uptown Funk - Bruno Mars, sound better on the new Sport because tracks like those thrive on a bit of added bass. Yet I still feel the highs come through better on the older iBFree. Don’t get me wrong, the new one isn’t necessarily less detailed, it’s just that the highs and vocal tones are more apparent on the older one. For example, as a matter of personal preference, I preferred listening to Mindstreet - Motherjane on the older iBFree and not the ‘Sport’. Still, if you look at the customer review section of the older iBFree on any e-commerce website, you’ll find it littered with complaints of the lack of bass on the iBFree. At least this new tuning will put an end to those. Most of my time spent with the new iBFree Sport was spent running AB tests between this one and the older variant. However, in order to not get too tunnel visioned I also used the OnePlus Bullets Wireless as a reference. That’s one nice sounding headphone, but the new iBFree can easily hold its own, which is quite something for a sports-focused in-ear. Battery Life: Our standard battery test consists of playing Centuries by Fall Out Boy at a reasonable volume on loop and checking how long it takes for the battery to run out. Adequate loudness was achieved at about 65-70 per cent volume on the iBFree Sport. To be sure we ran the test twice. The first time around it lasted 7 hrs and 35 mins, which is about half an hour shy of the rated battery life of 8 hrs. The second run lasted 7 hrs and 28 mins. The rated battery life on the US website lists it at 9 hours while the Indian press release, as well as specification stated on indian ecommerce sites, lists it at 8 hours. In any case, a battery life of 7.5 hours isn’t bad at all. 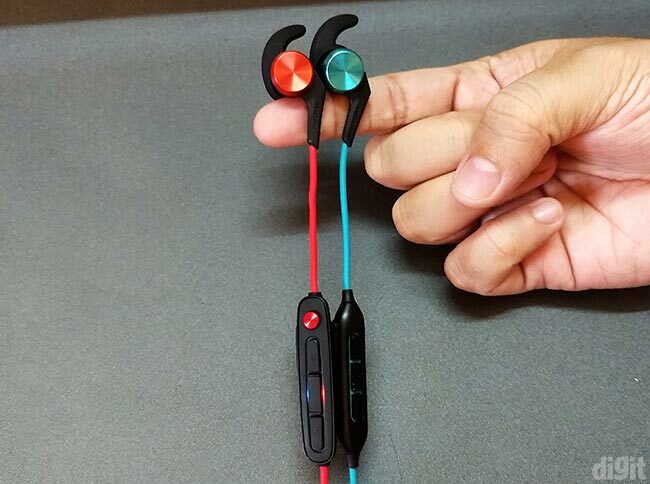 It is within +/- 30 mins of the rated battery life and at par with other non-neckband Bluetooth in-ears. But yes, it is slightly less than the older iBFree. Connectivity: This is the one area where the old iBFree fell quite short (read the review here). In fact, this was the one factor which led to its sub-80 score. 1MORE seems to have made huge improvements in signal reception. The earlier one would start stuttering at 16 feet (line of sight) while this one can do that much with obstructions. It’s not quite at the level of some of the higher end RHA in-ears but it’s certainly at par with anything else in the market. For other performance parameters such as fit, comfort, isolation and call quality have a look at our review of the older iBFree since the performance for those parameters is exactly the same. Quite frankly, there are many “Sport” oriented wireless in-ears out there that are available for half the price of the iBFree Sport. But almost all of them will have a water resistance rating of IPX4 and audio performance that is strictly ok. The iBFree Sport, on the other hand, takes it up a notch to IPX6 which makes it resistant to heavy rainfall. You not only get a stylish, rugged in-ear for your daily runs but also great audio performance. The full price of Rs. 3,999 is a little on the expensive side but if you find it on discount (hint: Amazon Prime Day) grab it for sure. 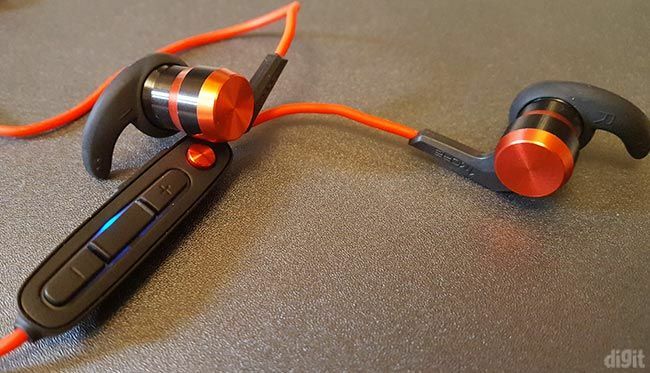 If sports activities aren’t your thing, and the enhanced IPX6 rating isn’t of much use, a good option worth considering at the same price point is the OnePlus Bullets Wireless.